Oil Changes are a very important piece of taking care of your car on a regular basis. Whether you own an Audi®, BMW®, Volkswagen®, Porsche®, or Mini®, each needs to be taken care of in a significant way. Oil changes are one of the easiest, yet most vital tune-ups you can’t forget to schedule. Think of oil as the lubricant of your car. If your car doesn’t have oil, or if it has oil that is filthy, your car either won’t run at all, or it won’t run very well. So, what’s the big deal? 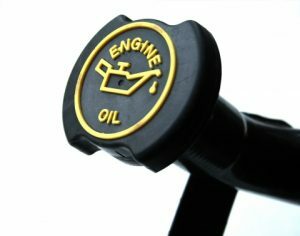 Oil should be changed regularly to keep your engine lubricated with clean and efficient oil. How often you get your oil changed will determine how well your car may run. Gas mileage may even rise if you take care of oil changes regularly. Oil is the lifeblood of your car. As a lubricant of the engine and many other parts to your car, you can rest assured that when you have the oil changed, your car will run smoothly. But, how often should you get your oil changed? It varies on different makes and models, as each make and model use different types of oil. For instance, a car the takes full synthetic oil only needs an oil change every 7,500 to 10,000 miles. For other cars, you’re looking at scheduling a service every 3,000 to 5,000 miles. During this time, don’t forget that it’s easy to schedule a tire rotation as well. To learn more about oil changes, and how often your car needs one, give us a call! Avalon Motorsports proudly provides oil changes and other mechanic services for German-made vehicles.